Coleridge explains the effects of opium. What links the National Gallery, Coleorton and Wordsworth? In 1806, at the invitation of Sir George Beaumont, one of the originators of the National Gallery, William Wordsworth moved from Dove Cottage in Grasmere to Hall Farm. There he helped create the Winter Garden in the grounds of the newly built Coleorton Hall. Wordsworth’s brother John, a ship’s captain, had recently died when his ship ran aground and sunk off Weymouth Sands. The family was still coming to terms with his loss. Fellow poet Samuel Taylor Coleridge joined them on Christmas Eve, bringing with him his own demons, most of them caused by an addiction to opium. 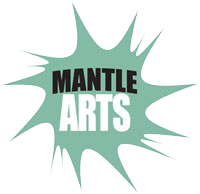 Mantle Arts is creating a community audio drama to explore this fascinating period in Leicestershire history. The cast of the drama is made up of local performers from around Ashby and from Leicestershire. The script has been researched and written by Matthew Pegg, with support from Ashby-de-la-Zouch Museum, which offered advice, and access to books and documentary material from their archives. The play was directed by Julian Hanby. Rehearsals took place between May and July 2016 at the museum. There was a rehearsed reading in front of a local audience at the Venture Theatre in Ashby, and also local poet and Wordsworth expert Paul Conneally gave an illustrated talk on the background to the play. 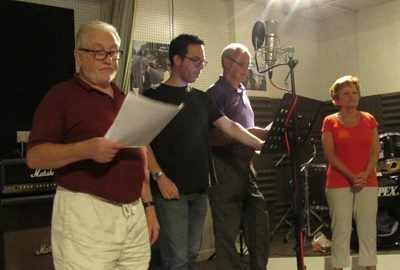 The drama was recorded over two weekends at Aspect Studios in Loughborough, with the recording process directed by Martin Berry. Editing is taking place over September and then the play will be available on CD and online.